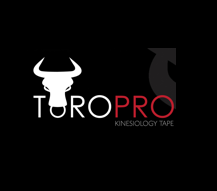 ToroPro is a British company, it focuses on producing products that enhance athletic performance such as Kinesiology tape, mobility and strengthening tools and also our new range of handmade massage wax. We tested many products on athletes and in clinics – none met our high standards, so we designed our own. Our products are recommended by experts and are used by professionals including Premiership clubs, the FA, Team GB and the English Institute of sport. We are delighted to be a Business partner and associated with the FMPA. For more information visit our website www.toropro.org.